Translate Cafe Cordover Into Another Language! FOR the first time, representatives of the Arab League will make an official visit to Israel this coming Thursday. The foreign ministers of Egypt and Jordan--appointed by the Arab League to promote the Saudi Peace Initiative--will meet with Israeli Prime Minister Ehud Olmert, Foreign Minister Tzipi Livni, and Defense Minister Ehud Barak. The Saudi Initiative calls for Israel to withdraw from all lands it captured in the 1967 Six Day War, including East Jerusalem, and implement a Palestinian right to return in exchange for full Arab recognition of Israel. PM Olmert has welcomed the plan, though has reservations on a pull back from East Jerusalem (which is part of Israel's capital) and resettlement of Palestinians in Israel proper. The Arab League has traditionally been hostile to Israel, so this visit will indeed be a historic occasion. Upon its creation in 1945, the organization resolved to boycott all Jewish products originating from what was then British Mandate Palestine. The Arab League expanded the boycott when Israel gained independence in 1948. To this day, most Arab League member states continue to boycott products and services from Israel, and some states refuse to do business with any company that engages with Israel. ISLAMIC Jihad and Hamas claimed responsibility for firing several Kassam rockets into Israel from the Gaza Strip. The rockets caused no casualties, though a university building sustained damages. PALESTINIAN lawyers have questioned the constitutionality of Palestinian Authority ("PA") President Mahmoud Abbas' decision to appoint a new government without parliament's approval. Abbas tapped former World Bank official Salam Fayyad to head the government after firing Hamas representatives because of the violent coup staged in Gaza. The Palestinian lawyers, who helped draft the constitution which was implemented in 2002, claim that Abbas was permitted to fire the Hamas lawmakers from the cabinet, but could not appoint a new government. The lawyers further stated that Abbas could not suspend parts of the constitution. Representative of Abbas responded that the PA is in a state of emergency, and thus Abbas' word is law. EGYPTIAN authorities seized over a ton of explosives in the Sinai Peninsula, in an area approximately 100 km from the Gaza border. Palestinian militants often use the Gaza border to smuggle in weapons and explosives for internecine fighting and to commit terrorist acts against Israel. LEBANESE soldiers raided an apartment in Tripoli and seized members and weapons from an al-Qaeda inspired terrorist group. Fatah al-Islam (not to be confused with the mainstream Palestinian group Fatah) has for over a month been in armed battle with Lebanese forces. The group has used Palestinian refugee camps in Lebanon as bases, though members from countries throughout the Arab world have been found. Lebanese Prime Minister Fouad Siniora has vowed to arrest or kill members of Fatah al-Islam, which has claimed responsibility for several bombings around Lebanon. Some suspect that the group is being directed by Syria, and its purpose is to destabilize Siniora's anti-Syrian government. The Law Firm of Adam B. Cordover, P.A. 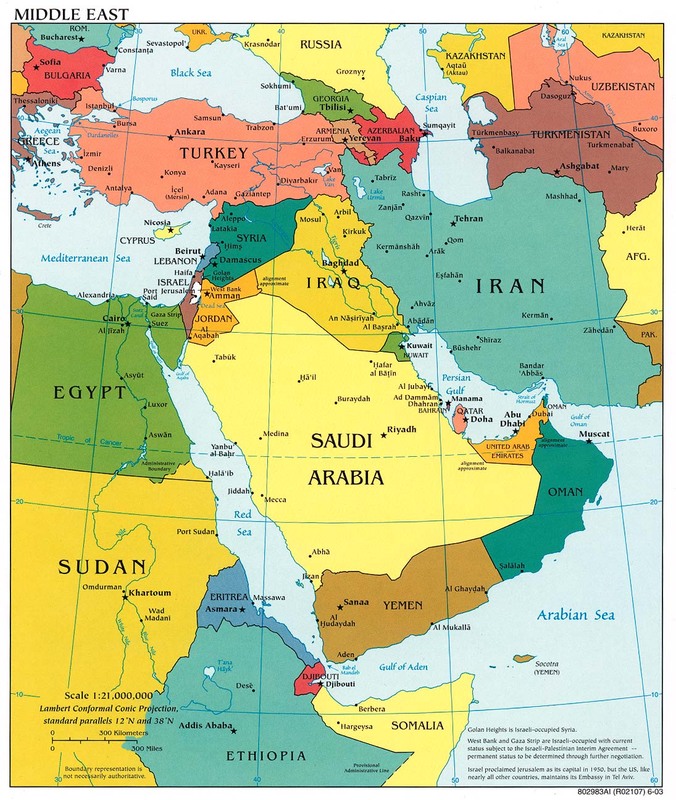 This blog will focus on current events in the Middle East. Feel free to e-mail posts to friends by clicking on the envelope icon, or leave a comment by clicking on "comment" after a post. Also, please subscribe to this site using RSS by clicking the button above or the link at the bottom of this page that says "Posts (Atom)." This blog is an experiment for future endeavours, so I'd appreciate if you click on View my Guestbook and add any advice or suggestions. Meanwhile, relax, have a cup of coffee, and enjoy Cafe Cordover! The Arab League in Israel? Peres: Its a Hoax. Israel has no Nukes!